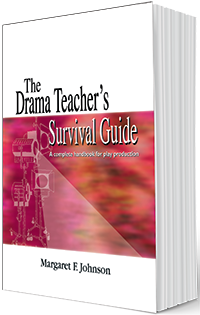 Whether you are a seasoned drama director or a beginner, you will find this book to be an invaluable tool kit of aid and assistance! Written specifically for the middle school or high school drama director, this book tells everything you need to know to produce a play, from administrative detail and play selection to the actual performance before an audience. This is not intended as a manual or a comprehensive study of stagecraft but rather as a collection of suggestions and vignettes of personal experience. Nineteen chapters cover everything from rehearsal schedules to budgets to hair and makeup. Read more...It’s just possible, though, you’ll love the additional resources even more — 20 pages of various reproducible forms to use and hand out, followed by an extensive glossary of theatrical terms and a bibliography of additional resources.